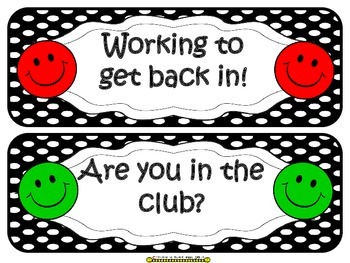 This set was developed to encourage homework to be turned in on time. The numbers represent each child instead of their name being on them. 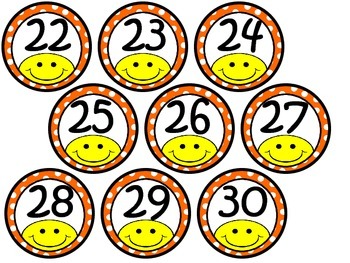 The numbers can also be used in a number of other ways, like discussion sticks, helper jobs, labeling cubbies, etc. This set includes number cards 1 to 30 and a header. It is made in a larger format for a pocket chart. If you set your printer to print in handouts and chose two slides per page and they will be perfect to fit a quarter size magnet and a cookie sheet from your local dollar store. 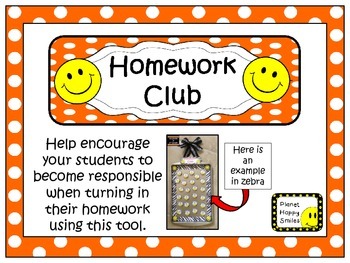 If you have a switch class, you can get another color in the Polka Dot Homework Club to use for that class too! 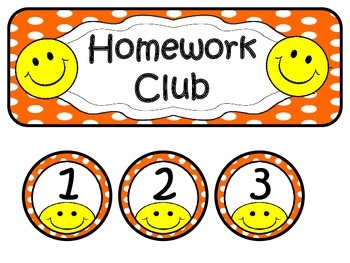 It could be a contest to see which class stays in the Homework Club the most each week! We hope you find this helpful and you can utilize it with the kids! Happy Homework!